The 14-kiloton test shot Charlie of Operation Buster-Jangle at the Nevada Proving Grounds on October 30, 1951. The red/orange color seen here in the cap of the mushroom cloud is largely due to the fireball's intense heat in combination with the oxygen and nitrogen naturally found in air. Oxygen and nitrogen, though generally unreactive toward each other, form NOx species when heated to excess, specifically nitrogen dioxide, which is largely responsible for the color. There was concern in the 1970s and 1980s, later proven unfounded, regarding fireball NOx and ozone loss. The troposphere is the lowest layer of Earth's atmosphere, and is also where nearly all weather conditions take place. It contains approximately 75% of the atmosphere's mass and 99% of the total mass of water vapor and aerosols. The average height of the troposphere is 18 km in the tropics, 17 km in the middle latitudes, and 6 km in the polar regions in winter. The total average height of the troposphere is 13 km. Depending on the design of the weapon and the location in which it is detonated, the energy distributed to any one of these categories may be significantly higher or lower. The blast effect is created by the coupling of immense amounts of energy, spanning the electromagnetic spectrum, with the surroundings. The environment of the explosion (e.g. submarine, ground burst, air burst, or exo-atmospheric) determines how much energy is distributed to the blast and how much to radiation. In general, surrounding a bomb with denser media, such as water, absorbs more energy and creates more powerful shockwaves while at the same time limiting the area of its effect. When a nuclear weapon is surrounded only by air, lethal blast and thermal effects proportionally scale much more rapidly than lethal radiation effects as explosive yield increases. The physical-damage mechanisms of a nuclear weapon (blast and thermal radiation) are identical to those of conventional explosives, but the energy produced by a nuclear explosion is usually millions of times more powerful per unit mass and temperatures may briefly reach the tens of millions of degrees. A ground burst is the detonation of an explosive device such as an artillery shell, nuclear weapon or air-dropped bomb that explodes upon hitting the ground. These weapons are set off by (fuses) that are activated when the weapon strikes the ground or something equally hard, such as a concrete building. Energy from a nuclear explosion is initially released in several forms of penetrating radiation. When there is a surrounding material such as air, rock, or water, this radiation interacts with and rapidly heats the material to an equilibrium temperature (i.e. so that the matter is at the same temperature as the fuel powering the explosion). This causes vaporization of the surrounding material, resulting in its rapid expansion. Kinetic energy created by this expansion contributes to the formation of a shockwave. When a nuclear detonation occurs in air near sea level, much of the released energy interacts with the atmosphere and creates a shockwave which expands spherically from the center. Intense thermal radiation at the hypocenter forms a nuclear fireball which, if the burst is low enough, is often associated with a mushroom cloud. In a high-altitude burst, where the density of the atmosphere is low, more energy is released as ionizing gamma radiation and X-rays than as an atmosphere-displacing shockwave. Vaporization of an element or compound is a phase transition from the liquid phase to vapor. There are two types of vaporization: evaporation and boiling. Evaporation is a surface phenomenon, whereas boiling is a bulk phenomenon. A hypocenter is the point of origin of an earthquake or a subsurface nuclear explosion. In seismology, it is a synonym of the focus. The term hypocenter is also used as a synonym for ground zero, the surface point directly beneath a nuclear airburst. In 1942, there was some initial speculation among the scientists developing the first nuclear weapons that a large enough nuclear explosion might ignite the Earth's atmosphere. This notion concerned the nuclear reaction of two atmospheric nitrogen atoms forming a carbon and an oxygen atom, with an associated release of energy. The scientists hypothesized that this energy would heat up the remaining atmospheric nitrogen enough to keep the reaction going until all nitrogen atoms were consumed, thereby burning all of the Earth's atmosphere (which is composed of nearly 80% diatomic nitrogen) in one single massive combustion event. Hans Bethe was assigned the task of studying this hypothesis in the very early days, and eventually concluded that combustion of the entire atmosphere was not possible: the cooling of the fireball due to an inverse Compton effect all but guaranteed that such a scenario would not become a reality. Richard Hamming, a mathematician, was asked to make a similar calculation just before Trinity, with the same result. Nevertheless, the notion has persisted as a rumor for many years and was the source of gallows humor at the Trinity test. 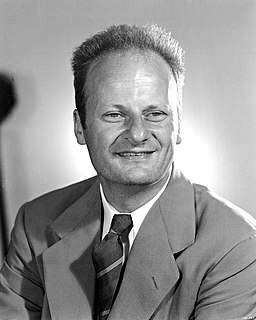 Hans Albrecht Bethe was a German-American nuclear physicist who made important contributions to astrophysics, quantum electrodynamics and solid-state physics, and won the 1967 Nobel Prize in Physics for his work on the theory of stellar nucleosynthesis. Richard Wesley Hamming was an American mathematician whose work had many implications for computer engineering and telecommunications. His contributions include the Hamming code, the Hamming window, Hamming numbers, sphere-packing, and the Hamming distance. Overpressure ranges from 1 to 50 psi (6.9 to 345 kilopascals) of a 1 kiloton of TNT air burst as a function of burst height. The thin black curve indicates the optimum burst height for a given ground range. Military planners prefer to maximise the range at which 10 psi, or more, is extended over when attacking countervalue targets, thus a 220 m height of burst would be preferred for a 1 kiloton blast. To find the optimum height of burst for any weapon yield, the cubed root of the yield in kilotons is multiplied by the ideal H.O.B for a 1 kt blast, e.g. the optimum height of burst for a 500 kt weapon is ~ 1745 m.
An estimate of the size of the damage caused by the 16 kt and 22 kt atomic bombings of Hiroshima and Nagasaki. The high temperatures and radiation cause gas to move outward radially in a thin, dense shell called "the hydrodynamic front". The front acts like a piston that pushes against and compresses the surrounding medium to make a spherically expanding shock wave. At first, this shock wave is inside the surface of the developing fireball, which is created in a volume of air heated by the explosion's "soft" X-rays. Within a fraction of a second the dense shock front obscures the fireball, and continues to move past it, now expanding outwards, free from the fireball, causing the characteristic double pulse of light seen from a nuclear detonation, with the dip causing the double pulse due to the shock wave–fireball interaction. It is this unique feature of nuclear explosions that is exploited when verifying that an atmospheric nuclear explosion has occurred and not simply a large conventional explosion, with radiometer instruments known as Bhangmeters capable of determining the nature of explosions. In physics, a shock wave, or shock, is a type of propagating disturbance that moves faster than the local speed of sound in the medium. Like an ordinary wave, a shock wave carries energy and can propagate through a medium but is characterized by an abrupt, nearly discontinuous, change in pressure, temperature, and density of the medium. A radiometer or roentgenometer is a device for measuring the radiant flux (power) of electromagnetic radiation. Generally, a radiometer is an infrared radiation detector or an ultraviolet detector. Microwave radiometers operate in the microwave wavelengths. A bhangmeter is a non-imaging radiometer installed on reconnaissance and navigation satellites to detect atmospheric nuclear detonations and determine the yield of the nuclear weapon. They are also installed on some armored fighting vehicles, in particular NBC reconnaissance vehicles, in order to help detect, localise and analyse tactical nuclear detonations. They are often used alongside pressure and sound sensors in this role in addition to standard radiation sensors. Some nuclear bunkers and military facilities may also be equipped with such sensors alongside seismic event detectors. For air bursts at or near sea-level, 50–60% of the explosion's energy goes into the blast wave, depending on the size and the yield of the bomb. As a general rule, the blast fraction is higher for low yield weapons. Furthermore, it decreases at high altitudes because there is less air mass to absorb radiation energy and convert it into blast. This effect is most important for altitudes above 30 km, corresponding to less than 1 percent of sea-level air density. The General Effects of the Atomic Bombs on Hiroshima and Nagasaki. Describes effects, particularly blast effects, and the response of various types of structures to the weapons effects. The blast wind at sea level may exceed one thousand km/h, or ~300 m/s, approaching the speed of sound in air. The range for blast effects increases with the explosive yield of the weapon and also depends on the burst altitude. Contrary to what one might expect from geometry, the blast range is not maximal for surface or low altitude blasts but increases with altitude up to an "optimum burst altitude" and then decreases rapidly for higher altitudes. This is due to the nonlinear behaviour of shock waves. When the blast wave from an air burst reaches the ground it is reflected. Below a certain reflection angle the reflected wave and the direct wave merge and form a reinforced horizontal wave, this is known as the 'Mach stem' (named after Ernst Mach) and is a form of constructive interference. This constructive interference is the phenomenon responsible for the bumps or 'knees' in the above overpressure range graph. Acting on the human body, the shock waves cause pressure waves through the tissues. These waves mostly damage junctions between tissues of different densities (bone and muscle) or the interface between tissue and air. Lungs and the abdominal cavity, which contain air, are particularly injured. The damage causes severe hemorrhaging or air embolisms, either of which can be rapidly fatal. The overpressure estimated to damage lungs is about 70 kPa. Some eardrums would probably rupture around 22 kPa (0.2 atm) and half would rupture between 90 and 130 kPa (0.9 to 1.2 atm). Blast winds: The drag energies of the blast winds are proportional to the cubes of their velocities multiplied by the durations. These winds may reach several hundred kilometers per hour. Silent USSBS (United States Strategic Bombing Survey) footage which is primarily an analysis of flash burn injuries to those at Hiroshima. At 2:00, as is typical of the shapes of sunburns, the protection afforded by clothing, in this case pants, with the nurse pointing to the line of demarcation where the pants begin to completely protect the lower body from burns. At 4:27 it can be deduced from the burn shape that the man was facing the fireball and was wearing a vest at the time of the explosion etc. Many of the burn injuries exhibit raised keloid healing patterns. 25 female survivors required extensive post war surgeries, and were termed the Hiroshima maidens. Nuclear weapons emit large amounts of thermal radiation as visible, infrared, and ultraviolet light, to which the atmosphere is largely transparent. This is known as "Flash". The chief hazards are burns and eye injuries. On clear days, these injuries can occur well beyond blast ranges, depending on weapon yield. Fires may also be started by the initial thermal radiation, but the following high winds due to the blast wave may put out almost all such fires, unless the yield is very high, where the range of thermal effects vastly outranges blast effects, as observed from explosions in the multi-megaton range. This is because the intensity of the blast effects drops off with the third power of distance from the explosion, while the intensity of radiation effects drops off with the second power of distance. This results in the range of thermal effects increasing markedly more than blast range as higher and higher device yields are detonated. Thermal radiation accounts for between 35–45% of the energy released in the explosion, depending on the yield of the device. 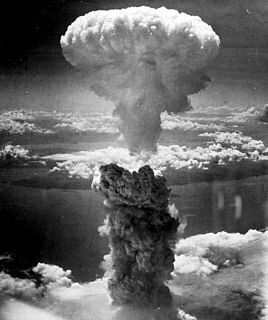 In urban areas, the extinguishing of fires ignited by thermal radiation may matter little, as in a surprise attack fires may also be started by blast-effect-induced electrical shorts, gas pilot lights, overturned stoves, and other ignition sources, as was the case in the breakfast-time bombing of Hiroshima. Whether or not these secondary fires will in turn themselves be snuffed out as modern noncombustible brick and concrete buildings collapse in on themselves from the same blast wave is uncertain, not least of which, because of the masking effect of modern city landscapes on thermal and blast transmission are continually examined. When combustible frame buildings were blown down in Hiroshima and Nagasaki, they did not burn as rapidly as they would have done had they remained standing. The noncombustible debris produced by the blast frequently covered and prevented the burning of combustible material. Fire experts suggest that unlike Hiroshima, due to the nature of modern U.S. city design and construction, a firestorm in modern times is unlikely after a nuclear detonation. This does not exclude fires from being started, but means that these fires will not form into a firestorm, due largely to the differences between modern building materials and those used in World War II era Hiroshima. A retinal burn resulting in permanent damage from scarring is also caused by the concentration of direct thermal energy on the retina by the lens. It will occur only when the fireball is actually in the individual's field of vision and would be a relatively uncommon injury. Retinal burns may be sustained at considerable distances from the explosion. The height of burst, and apparent size of the fireball, a function of yield and range will determine the degree and extent of retinal scarring. A scar in the central visual field would be more debilitating. Generally, a limited visual field defect, which will be barely noticeable, is all that is likely to occur. In Hiroshima on August 6, 1945, a tremendous firestorm developed within 20 minutes after detonation and destroyed many more buildings and homes, built out of predominantly 'flimsy' wooden materials. A firestorm has gale-force winds blowing in towards the center of the fire from all points of the compass. It is not peculiar to nuclear explosions, having been observed frequently in large forest fires and following incendiary raids during World War II. 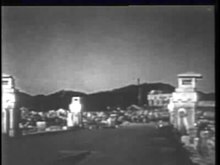 Despite fires destroying a large area of the city of Nagasaki, no true firestorm occurred in the city, even though a higher yielding weapon was used. Many factors explain this seeming contradiction, including a different time of bombing than Hiroshima, terrain, and crucially, a lower fuel loading/fuel density in the city than that of Hiroshima. Gamma rays from a nuclear explosion produce high energy electrons through Compton scattering. For high altitude nuclear explosions, these electrons are captured in the Earth's magnetic field at altitudes between twenty and forty kilometers where they interact with the Earth's magnetic field to produce a coherent nuclear electromagnetic pulse (NEMP) which lasts about one millisecond. Secondary effects may last for more than a second. The pulse is powerful enough to cause moderately long metal objects (such as cables) to act as antennas and generate high voltages due to interactions with the electromagnetic pulse. These voltages can destroy unshielded electronics. There are no known biological effects of EMP. The ionized air also disrupts radio traffic that would normally bounce off the ionosphere. Electronics can be shielded by wrapping them completely in conductive material such as metal foil; the effectiveness of the shielding may be less than perfect. Proper shielding is a complex subject due to the large number of variables involved. Semiconductors, especially integrated circuits, are extremely susceptible to the effects of EMP due to the close proximity of the PN junctions, but this is not the case with thermionic tubes (or valves) which are relatively immune to EMP. A Faraday cage does not offer protection from the effects of EMP unless the mesh is designed to have holes no bigger than the smallest wavelength emitted from a nuclear explosion. Large nuclear weapons detonated at high-altitudes also cause geomagnetically induced current in very long electrical conductors. The mechanism by which these geomagnetically induced currents are generated is entirely different from the gamma ray induced pulse produced by Compton electrons. The physical effects giving rise to blackout are those that also cause EMP, which itself can cause power blackouts. The two effects are otherwise unrelated, and the similar naming can be confusing. About 5% of the energy released in a nuclear air burst is in the form of ionizing radiation: neutrons, gamma rays, alpha particles and electrons moving at speeds up to the speed of light. Gamma rays are high energy electromagnetic radiation; the others are particles that move slower than light. The neutrons result almost exclusively from the fission and fusion reactions, while the initial gamma radiation includes that arising from these reactions as well as that resulting from the decay of short-lived fission products. The intensity of initial nuclear radiation decreases rapidly with distance from the point of burst because the radiation spreads over a larger area as it travels away from the explosion (the inverse-square law). It is also reduced by atmospheric absorption and scattering. The character of the radiation received at a given location also varies with distance from the explosion. Near the point of the explosion, the neutron intensity is greater than the gamma intensity, but with increasing distance the neutron-gamma ratio decreases. Ultimately, the neutron component of initial radiation becomes negligible in comparison with the gamma component. The range for significant levels of initial radiation does not increase markedly with weapon yield and, as a result, the initial radiation becomes less of a hazard with increasing yield. With larger weapons, above 50 kt (200 TJ), blast and thermal effects are so much greater in importance that prompt radiation effects can be ignored. The neutron radiation serves to transmute the surrounding matter, often rendering it radioactive. When added to the dust of radioactive material released by the bomb itself, a large amount of radioactive material is released into the environment. This form of radioactive contamination is known as nuclear fallout and poses the primary risk of exposure to ionizing radiation for a large nuclear weapon. 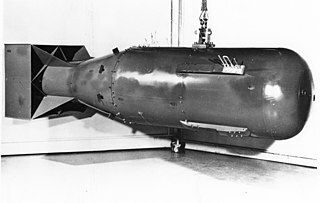 It was found in early experimentation that normally most of the neutrons released in the cascading chain reaction of the fission bomb are absorbed by the bomb case. Building a bomb case of materials which transmitted rather than absorbed the neutrons could make the bomb more intensely lethal to humans from prompt neutron radiation. 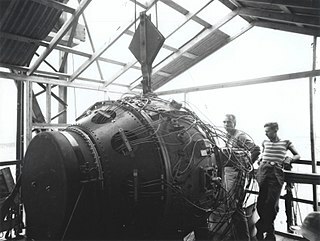 This is one of the features used in the development of the neutron bomb. The following table summarizes the most important effects of single nuclear explosions under ideal, clear skies, weather conditions. Tables like these are calculated from nuclear weapons effects scaling laws. Advanced computer modelling of real world conditions and how they impact on the damage to modern urban areas has found that most scaling laws are too simplistic and tend to overestimate nuclear explosion effects. As it is only simplistic and unclassified scaling laws that are commonly encountered, that do not take important things like varying land topography into account to ease calculation time and equation length. The scaling laws that were used to produce the table below, assume among other things, a perfectly level target area, no attenuating effects from urban terrain masking, e.g. skyscraper shadowing, and no enhancement effects from reflections and tunneling by city streets. As a point of comparison in the chart below, the most likely nuclear weapons to be used against countervalue city targets in a global nuclear war are in the sub-megaton range. Weapons of yields from 100 to 475 kilotons have become the most numerous in the US and Russian nuclear arsenals; for example the warheads equipping the Russian Bulava submarine launched ballistic missile (SLBM) have a yield of 150 kilotons. US examples are the W76 and W88 warheads, with the lower yield W76 being over twice as numerous as the W88 in the US nuclear arsenal. 1 For the direct radiation effects the slant range instead of the ground range is shown here, because some effects are not given even at ground zero for some burst heights. If the effect occurs at ground zero the ground range can be derived from slant range and burst altitude (Pythagorean theorem). 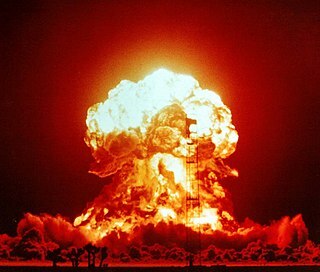 Further complicating matters, under global nuclear war scenarios, with conditions similar to that during the Cold War, major strategically important cities, like Moscow, and Washington are likely to be hit not once, but numerous times from sub megaton multiple independently targetable re-entry vehicles, in a cluster bomb or "cookie cutter" configuration. It has been reported that during the height of the Cold War in the 1970s Moscow was targeted by up to 60 warheads. 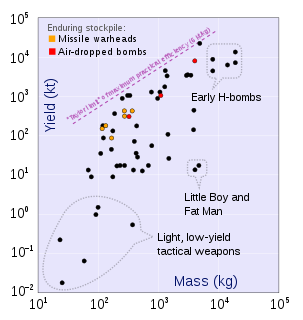 The reasons that the cluster bomb concept is preferable in the targeting of cities is twofold, the first is down to the fact that large singular warheads are much easier to neutralize as both tracking and successful interception by anti-ballistic missile systems than it is when several smaller incoming warheads are approaching. This strength in numbers advantage to lower yield warheads is further compounded by such warheads tending to move at higher incoming speeds, due to their smaller, more slender physics package size, assuming both nuclear weapon designs are the same (a design exception being the advanced W88). The second reason for this cluster bomb, or ‘layering’  (using repeated hits by accurate low yield weapons), is that this tactic along with limiting the risk of failure, also reduces individual bomb yields, and therefore reduces the possibility of any serious collateral damage to non-targeted nearby civilian areas, including that of neighboring countries. 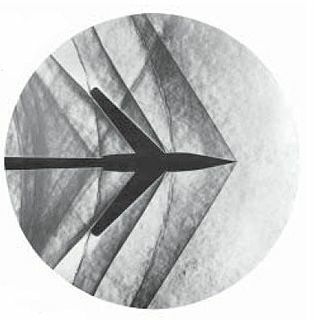 This concept was pioneered by Philip J. Dolan and others. Mushroom cloud height depending on yield for ground bursts. Gamma rays from the nuclear processes preceding the true explosion may be partially responsible for the following fireball, as they may superheat nearby air and/or other material. The vast majority of the energy that goes on to form the fireball is in the soft X-ray region of the electromagnetic spectrum, with these X-rays being produced by the inelastic collisions of the high speed fission and fusion products. It is these reaction products and not the gamma rays which contain most of the energy of the nuclear reactions in the form of kinetic energy. This kinetic energy of the fission and fusion fragments is converted into internal and then radiation energy by approximately following the process of blackbody radiation emitting in the soft X-ray region. As a result of numerous inelastic collisions, part of the kinetic energy of the fission fragments is converted into internal and radiation energy. Some of the electrons are removed entirely from the atoms, thus causing ionization, others are raised to higher energy (or excited) states while still remaining attached to the nuclei. Within an extremely short time, perhaps a hundredth of a microsecond or so, the weapon residues consist essentially of completely and partially stripped (ionized) atoms, many of the latter being in excited states, together with the corresponding free electrons. The system then immediately emits electromagnetic (thermal) radiation, the nature of which is determined by the temperature. Since this is of the order of 107 degrees, most of the energy emitted within a microsecond or so is in the soft X-ray region. To understand this one must remember that temperature depends on the average internal energy/heat of the particles in a certain volume, and internal energy or heat is due to kinetic energy. The heat and airborne debris created by a nuclear explosion can cause rain; debris is thought to do this by acting as cloud condensation nuclei. During the city firestorm which followed the Hiroshima explosion, drops of water were recorded to have been about the size of marbles. This was termed black rain, and has served as the source of a book and film by the same name. Black rain is not unusual following large fires, and is commonly produced by pyrocumulus clouds during large forest fires. The rain directly over Hiroshima on that day is said to have begun around 9 a.m. with it covering a wide area from the hypocenter to the north-west, raining heavily for one hour or more in some areas. The rain directly over the city may have carried neutron activated building material combustion products, but it did not carry any appreciable nuclear weapon debris or fallout,  although this is generally to the contrary to what other less technical sources state. The "oily" black soot particles, are a characteristic of incomplete combustion in the city firestorm. The element einsteinium was discovered when analyzing nuclear fallout. A side-effect of the Pascal-B nuclear test during Operation Plumbbob may have resulted in the first man-made object launched into space. 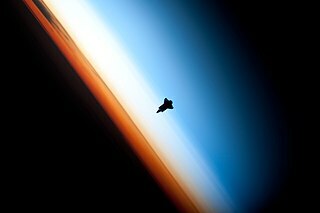 The so-called "thunder well" effect from the underground explosion may have launched a metal cover plate into space at six times Earth's escape velocity, although the evidence remains subject to debate. A nuclear electromagnetic pulse is a burst of electromagnetic radiation created by a nuclear explosion. The resulting rapidly varying electric and magnetic fields may couple with electrical and electronic systems to produce damaging current and voltage surges. The specific characteristics of a particular nuclear EMP event vary according to a number of factors, the most important of which is the altitude of the detonation. "Duck and cover" is a method of personal protection against the effects of a nuclear explosion. Ducking and covering is useful at conferring a degree of protection to personnel situated outside the radius of the nuclear fireball but still within sufficient range of the nuclear explosion that standing upright and uncovered is likely to cause serious injury or death. In the most literal interpretation, the focus of the maneuver is primarily on protective actions one can take during the first few crucial seconds-to-minutes after the event, while the film by the same name and a full encompassing of the advice, also caters to providing protection up to weeks after the event. Duck and Cover is a civil defense social guidance film that is often popularly mischaracterized as propaganda. With similar themes to the more adult oriented civil defense training films, the film was widely distributed to United States schoolchildren in the 1950s. It instructionally teaches students on what to do in the event of a nuclear explosion. Elugelab, or Elugelap, was an island, part of the Enewetak Atoll in the Marshall Islands. It was increased in size, and then destroyed by the world's first true hydrogen bomb test on 1 November 1952, a test which was codenamed shot "Mike" of Operation Ivy. Prior to being enlarged, and destroyed, the island was described as "just another small naked island of the atoll". The explosive yield of a nuclear weapon is the amount of energy released when that particular nuclear weapon is detonated, usually expressed as a TNT equivalent (the standardized equivalent mass of trinitrotoluene which, if detonated, would produce the same energy discharge), either in kilotons (kt—thousands of tons of TNT), in megatons (Mt—millions of tons of TNT), or sometimes in terajoules (TJ). An explosive yield of one terajoule is equal to 0.239 kilotonnes of TNT. Because the accuracy of any measurement of the energy released by TNT has always been problematic, the conventional definition is that one kiloton of TNT is held simply to be equivalent to 1012 calories. Nuclear blackout, also known as fireball blackout or radar blackout, is an effect caused by explosions of nuclear weapons that disturbs radio communications and causes radar systems to be blacked out or heavily refracted so they can no longer be used for accurate tracking and guidance. Within the atmosphere, the effect is caused by the large volume of ionized air created by the energy of the explosion, while above the atmosphere it is due to the action of high-energy beta particles released from the decaying bomb debris. At high altitudes, the effect can spread over large areas, hundreds of kilometers. The effect slowly fades as the fireball dissipates. ↑ "Nuclear Explosions: Weapons, Improvised Nuclear Devices". U.S. Department of Health and Human Services. 2008-02-16. Retrieved 2008-07-03. ↑ Konopinski, E. J; Marvin, C.; Teller, Edward (1946). "Ignition of the Atmosphere with Nuclear Bombs" (PDF). LA–602. Los Alamos National Laboratory. Retrieved 2013-12-06. The date of the article is 1946; it may have been written to demonstrate due diligence on the problem. It was declassified in 1970. ↑ Hamming, Richard (1998). "Mathematics on a Distant Planet". The American Mathematical Monthly. 105 (7): 640–650. JSTOR 2589247. ↑ Dolan, Samuel Glasstone, Philip J. "The Effects of Nuclear Weapons". www.fourmilab.ch. Retrieved 30 March 2018. ↑ "The Soviet Weapons Program - The Tsar Bomba". www.nuclearweaponarchive.org. Retrieved 30 March 2018. ↑ AFSWP (30 March 2018). "Military Effects Studies on Operation CASTLE" . Retrieved 30 March 2018– via Internet Archive. ↑ "The Mach Stem - Effects of Nuclear Weapons - atomicarchive.com". www.atomicarchive.com. Retrieved 30 March 2018. ↑ video of the mach 'Y' stem, it is not a phenomenon unique to nuclear explosions, conventional explosions also produce it. 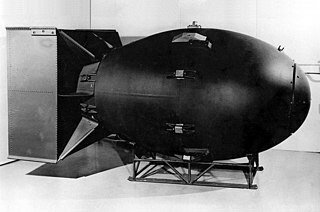 1 2 3 "Nuclear Bomb Effects". The Atomic Archive. solcomhouse.com. Retrieved 12 September 2011. 1 2 Oughterson, A. W.; LeRoy, G. V.; Liebow, A. A.; Hammond, E. C.; Barnett, H. L.; Rosenbaum, J. D.; Schneider, B. A. (19 April 1951). "Medical Effects Of Atomic Bombs The Report Of The Joint Commission For The Investigation Of The Effects Of The Atomic Bomb In Japan Volume 1". osti.gov. doi:10.2172/4421057 . Retrieved 30 March 2018. ↑ "Damage by the Heat Rays/Shadow Imprinted on an Electric Pole". www.pcf.city.hiroshima.jp. Retrieved 30 March 2018. ↑ "Glasstone & Dolan 1977 Thermal effects Chapter" (PDF). fourmilab.ch. Retrieved 30 March 2018. ↑ Christie, J.D. (1976-05-20). "Atmospheric ozone depletion by nuclear weapons testing". Journal of Geophysical Research. 81 (15): 2583–2594. doi:10.1029/JC081i015p02583. This link is to the abstract; the whole paper is behind a paywall. 1 2 "Anti-Ballistic-Missile Systems", Scientific American, March 1968, pp. 21–32. ↑ Pattison, J.E., Hugtenburg, R.P., Beddoe, A.H., and Charles, M.W. (2001). "Experimental Simulation of A-bomb Gamma-ray Spectra for Radiobiology Studies", Radiation Protection Dosimetry95(2):125–136. ↑ "Credible effects of nuclear weapons for real world peace: peace through tested, proved and practical declassified deterrence and countermeasures against collateral damage. Credible deterrence through simple, effective protection against concentrated and dispersed invasions and aerial attacks. Discussions of the facts as opposed to inaccurate, misleading lies of the "disarm or be annihilated" political dogma variety. Hiroshima and Nagasaki anti-nuclear propaganda debunked by the hard facts. Walls not wars. Walls bring people together by stopping divisive terrorists". glasstone.blogspot.com. Retrieved 30 March 2018. ↑ "Alsos: Nuclear Explosions and Earthquakes: The Parted Veil". alsos.wlu.edu. Retrieved 30 March 2018. ↑ "Effects of Nuclear Explosions". nuclearweaponarchive.org. Retrieved 30 March 2018. ↑ "Wayback Machine" (PDF). archive.org. 6 July 2011. Retrieved 30 March 2018. ↑ "The Nuclear Matters Handbook". Archived from the original on 2013-03-02. ↑ "The Effects of Nuclear Weapons (1977) CHAPTER II: "Descriptions of Nuclear Explosions, Scientific Aspects of Nuclear Explosion Phenomena."". vt.edu. Retrieved 30 March 2018. ↑ "Photo". nuclearweaponarchive.org. Retrieved 30 March 2018. ↑ "What are Those Smoke Trails Doing in That Test Picture?". nuclearweaponarchive.org. Retrieved 30 March 2018. ↑ Hersey, John. "Hiroshima", The New Yorker, August 31, 1946. ↑ Strom, P. O.; Miller, C. F. (1 January 1969). "Interaction of Fallout with Fires. Final Report" . Retrieved 30 March 2018– via www.osti.gov. ↑ "What I Want to Say Now". www.pcf.city.hiroshima.jp. Retrieved 30 March 2018. ↑ "Testimony of Akiko Takakura - The Voice of Hibakusha - The Bombing of Hiroshima and Nagasaki - Historical Documents - atomicarchive.com". www.atomicarchive.com. Retrieved 30 March 2018. ↑ McCarthy, Walton (2013). M.E. (6th ed.). Dallas, TX: Brown Books Publishing Group. p. 420. ISBN 978-1612541143 . Retrieved 9 December 2016. Wikimedia Commons has media related to Nuclear explosion physics . 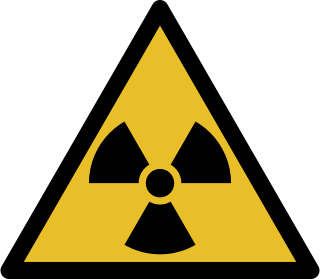 Wikimedia Commons has media related to Radiation health effects . Radiation Shielding Materials – Barrier Shielding table showing lead, steel, concrete, earth and wood sizes required to provide protection factors (PF) in a range from PF 2 to PF 1,073,741,824.0. Radiation Doses Overhead – Ground cover shielding table showing how the amount of earth cover required to provide radiation safety, based on bomb size, distance from ground zero, and a constant 15 MPH wind. Oklahoma Geological Survey Nuclear Explosion Catalog lists 2,199 explosions with their date, country, location, yield, etc. Nuclear Weapon Archive from Carey Sublette (NWA) is a reliable source of information and has links to other sources.